Belle Epoque, a Benicia dance troupe, performs at Rakkasah West in Concord. Al ‘Azifoon, a Martinez band, with drummer Mary Ellen Donald as guest percussionist, plays for one of the Rakkasah West dancers. Hoi Polloi Fusion Belly Dance Troup of Sacramento gets creative at Rakkasah West. 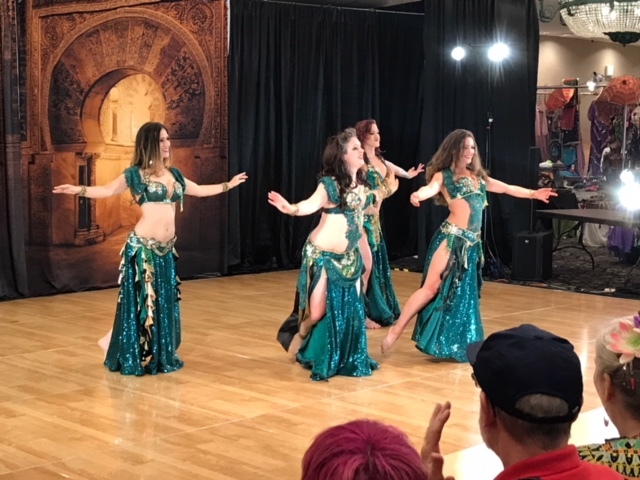 Sister Sirens, of Martinez, dance on the ballroom stage at Rakkasah West, the bellydance festival in Concord.